Show your customers you care about their vehicle by placing a floor mat in every vehicle in for service. 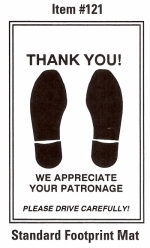 As shown, mats are 17in x 22in printed with a "Thank You" message in Black Ink. High quality 50# paper provides excellent protection. Standard Packaging is 500 mats per box. 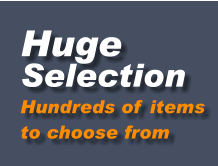 Save by choosing larger packages of 1,000 mats per box.